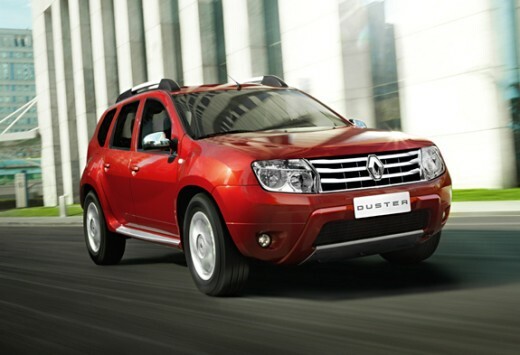 Renault Duster launch is still two weeks far and the car has already grabbed 1000 bookings so far. The first real compact SUV from any global automaker to hit the Indian market, Duster is expected to be priced aggressively at Rs 7 lakh for petrol option while the multi-variant diesel would start at Rs 8 lakh and would cost Rs 12 lakh for the fully loaded vehicle. The 4.3-metre Duster is one of the most awaited cars and will be packed with all features of a full sized SUV, but will be available at the price of a basic sedan. "Duster would be the most aggressive product from our stable, so far. We are close to finalising the details and introduce it at a very aggressive price. It will have multiple choices with the top-end model having dual airbags, leather upholstery, 16-inch alloy wheels and ABS with brake assist," said Renualt India spokesperson Rajiv Mitra. Click here to get more information on review, details, launch, spy shots etc. Click here for more Information on the SUV straight from the launch venue- Hotel Hyatt Regency, New Delhi on 04th July.